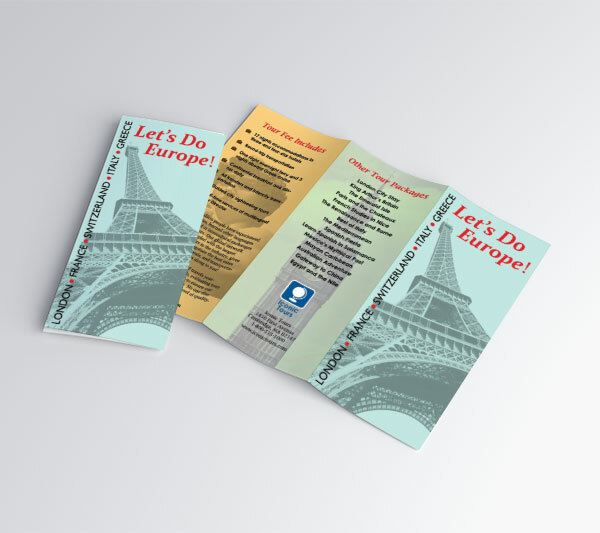 This brochure advertises a 22-day European tour by the Iconic Tours company. 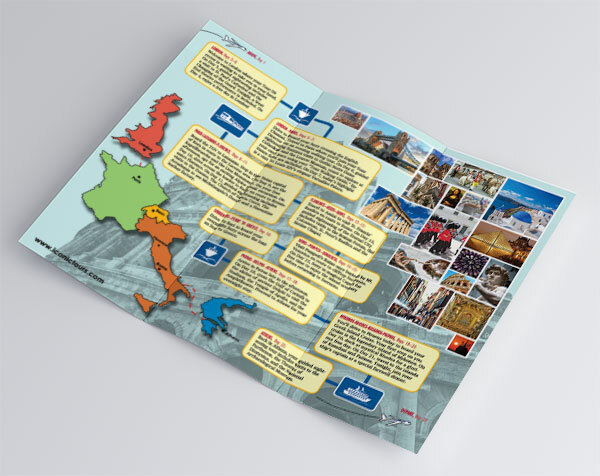 This tour covers many of the most popular sights in Europe, some of which are highlighted in the background of each of the exterior panels. 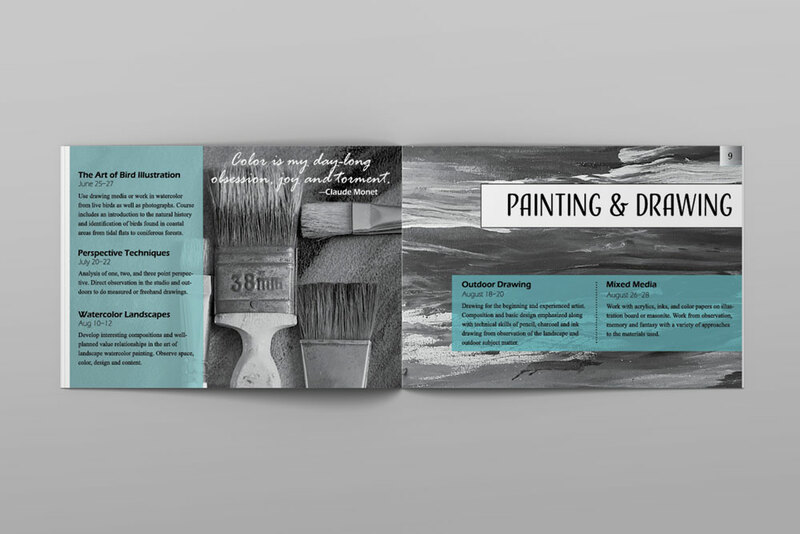 The interior was treated as a single spread with the itinerary in a diagonal design, linked by blue lines as a way-finding mechanism. Transportation icons were placed appropriately, and created to play off the tour company's name. The photo collage is meant to appeal to the viewer's, "I've always wanted to see..." This may be the Louvre, a Greek island, Florence, the Changing of the Guard at Buckingham Palace. The photo array provides many opportunities for the viewer to find something that moves them. 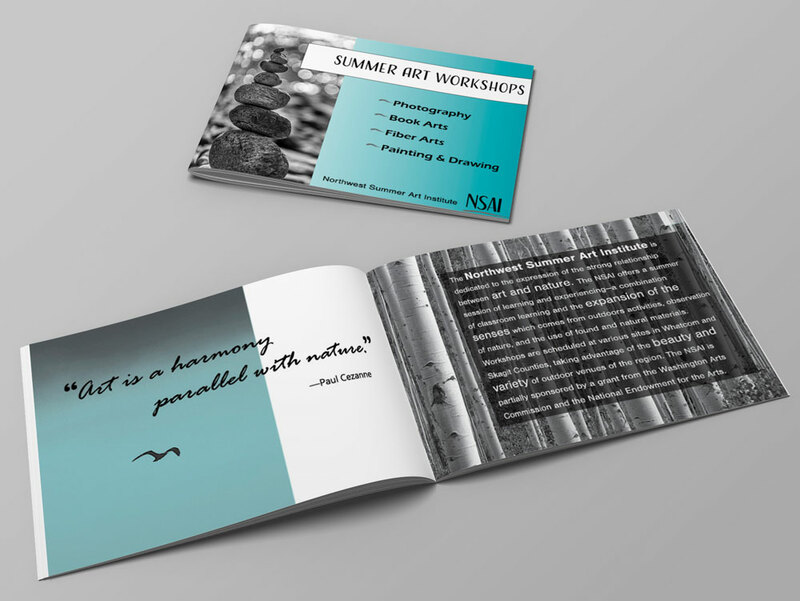 This is a 2-spot color, 16 page booklet advertising a series of summer art workshops. 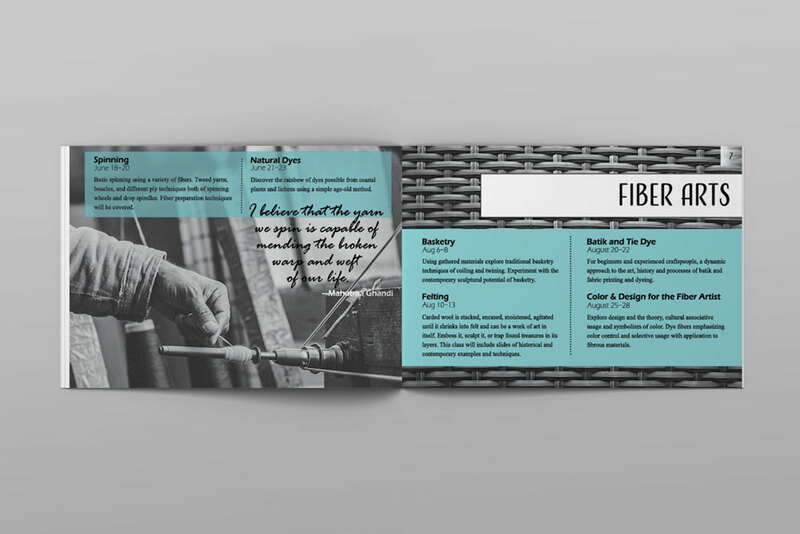 The booklet was designed to provide the viewer with information about the classes while transmitting a feeling of presence and tactile sensations appropriate to each topic, and highlighting the natural setting in the Pacific Northwest. 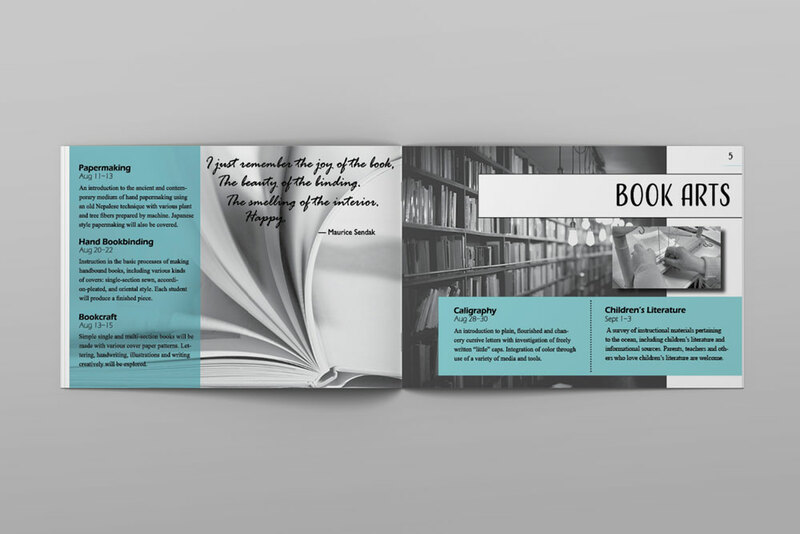 The quotes were carefully chosen for each topic to help enhance the emotional connection to the experience. Registration and donation pages are included. 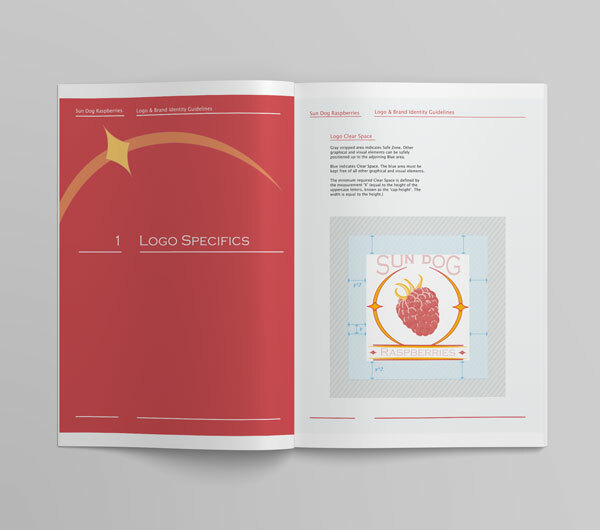 The back page of the booklet was prepared with the return address and space for postage and address label in accordance with U.S. postal regulations. 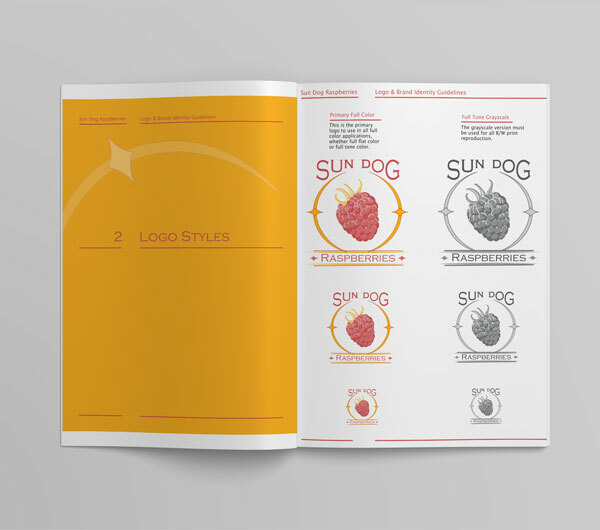 I created this branding guide to accompany the Sun Dog Raspberries logo. 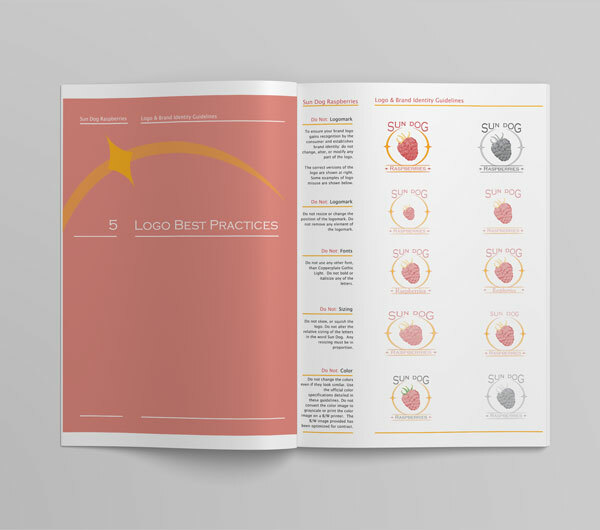 Like the logo, the branding guide is done in the same 2 Pantone colors except for the text which is black. 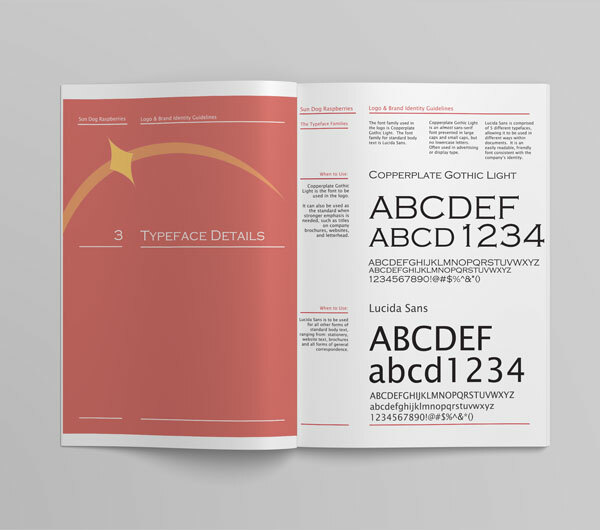 The purpose of a branding guide is to provide consistency among uses of type and image and the appearance of the logo in its various uses. 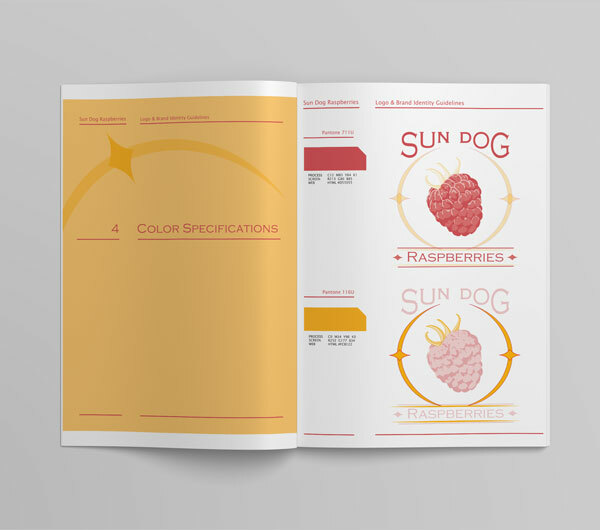 Being consistent in the use of color, typography and image helps the viewers associate everything as belonging to one company. 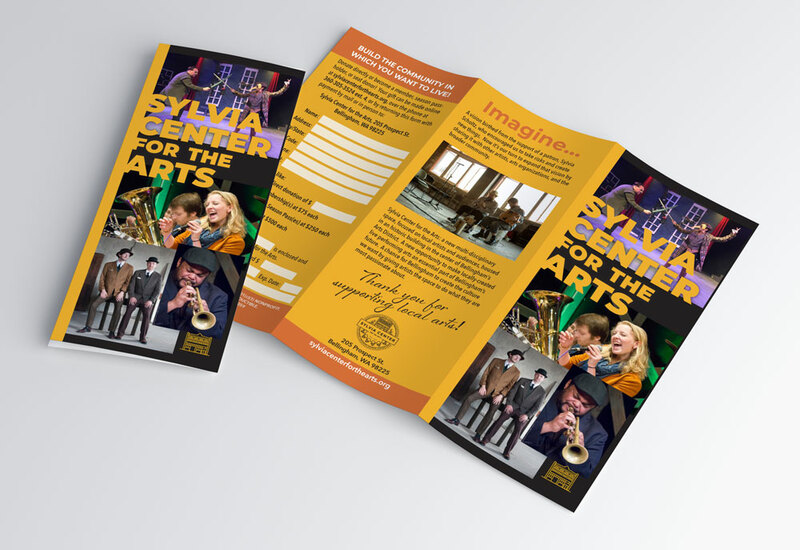 The purpose of this brochure is to highlight Sylvia Center for the Arts, and request donations for this non-profit organization. 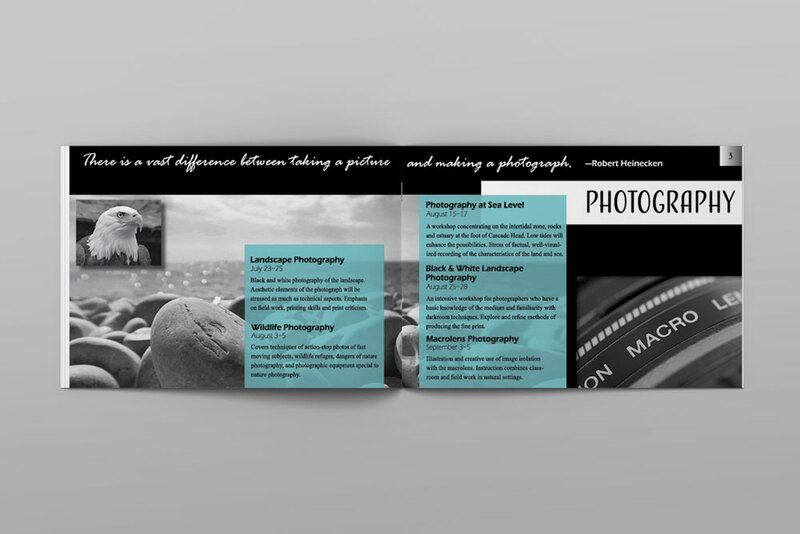 The brochure features photographs of events at the Center to connect with the reader and convey the energy and wide range of activities that take place here. The interior displays an overview of the mission and events run by the Sylvia. 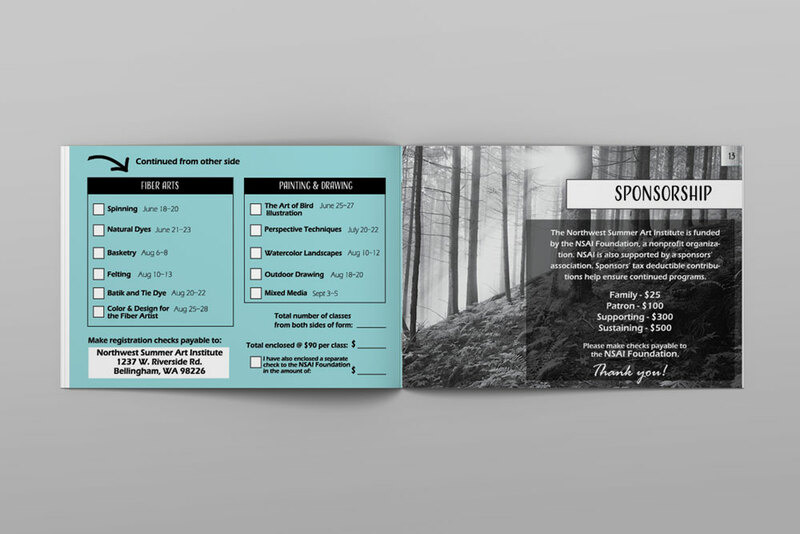 The inside flap provides a form and information about how and where to make a donation. 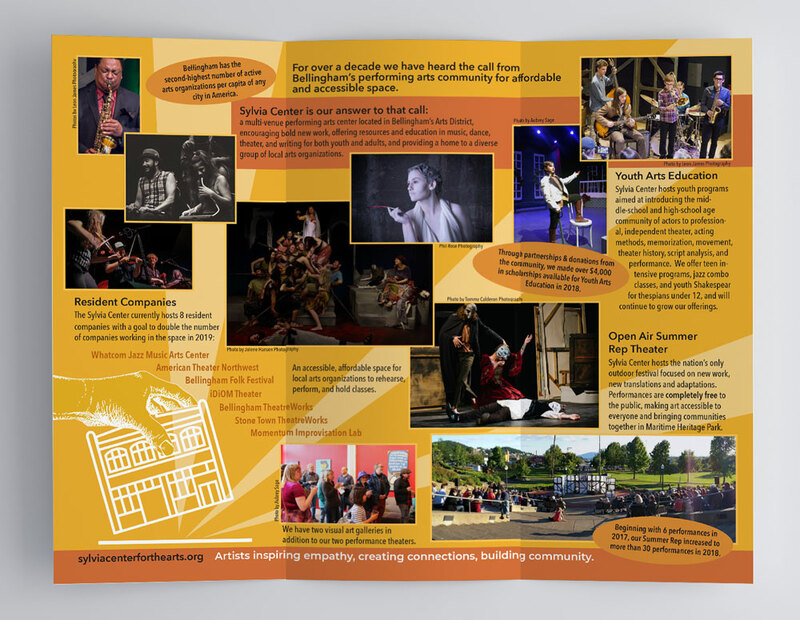 Check out what's happening at the Sylvia Center for the Arts. 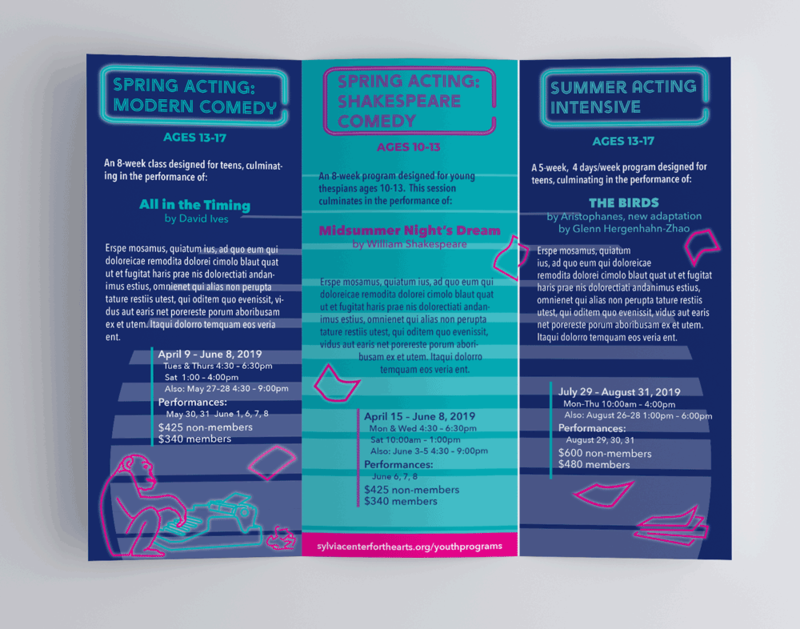 This brochure advertises acting classes for participants age 10-17. The 1980's trends are back in fashion, which the neon images, color scheme, and other design features play into. 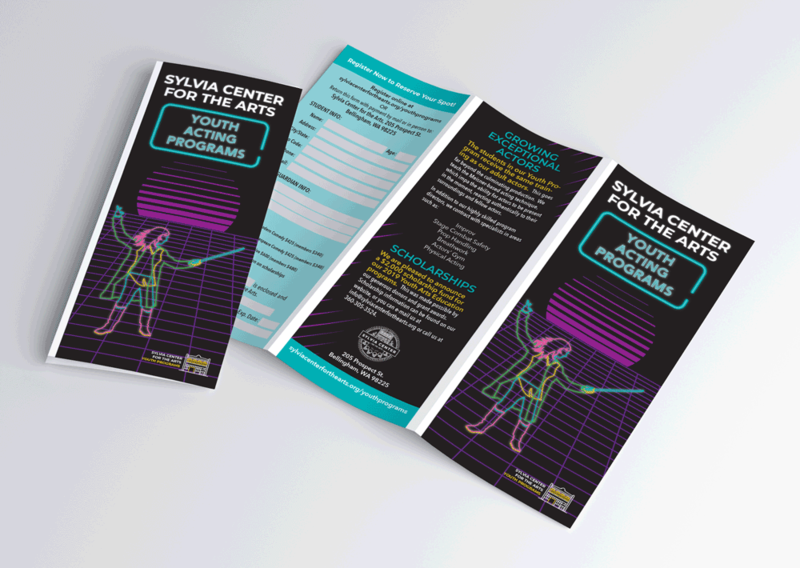 The bright colors and playful style of this brochure is appropriate for youth programs. 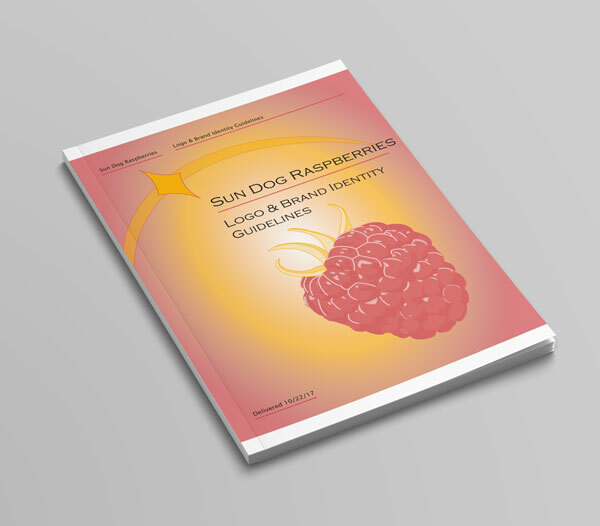 The complete wording was not available from the client at the time of this posting, so filler text remains in some areas. 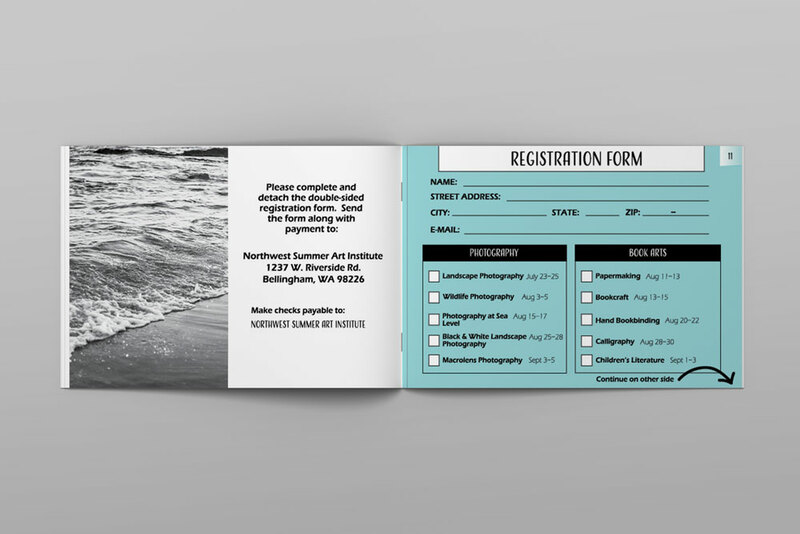 The inside flap is a registration form.